There are many animals in Iowa that become nuisance wildlife. Some animals are opossums, raccoons, squirrels, bats, and birds. These animals become a nuisance when they enter structures and homes. They can create enormous amounts of damage and cost the homeowner. 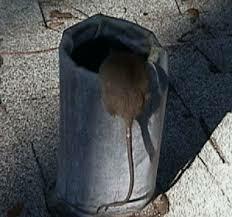 Many animals can enter attics and walls by small holes and rotting roof conditions. Keeping screens on windows and doors will prevent bats from directly flying into the house. Attached garages should have the doors shut at night. Make sure screens are in tact on attic screens and lattice areas. New roofs are sometimes necessary if wood and siding is in bad shape. Bats will fly in and out of structures at sunset and then continue throughout the night as they feed on insects. 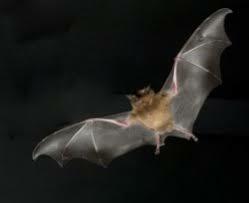 Bats will not fly in and out in the winter as insects are not there to feed on. In spring, nighttime temps need to reach around 40 degrees to begin feedings for bats. Bat houses are not expensive and can be purchased at outdoor stores. These can give bats more areas to roost and not look for other areas to enter a home. Bats will not attack people but can bite if they are stepped on or handled. Only about 1-5% of bats carry rabies in Iowa. Catching bats in a home can be tricky. Use towels or nets to contain the bat and then release it in another area outside. Releasing it close to the house will not do much good as the bat will probably just reenter where it originally got in. Gimmicky sound devices and moth balls do not work to repel bats. The best method of permanently keeping bats out of the house is a bat eviction service. This includes sealing all gaps that are a ¼ inch or greater and installing bat vents on areas that bats use to get in. After about a week, the vents can be removed and sealed. This is the only real way to keep bats from entering homes. Bats can live up to 25 years in prime conditions. Bats are only a nuisance when they take up residence in homes. Bat houses can be installed on trees outside of buildings to give bats more living areas. Bat encounters with humans are rare and only a small amount of bats have rabies. 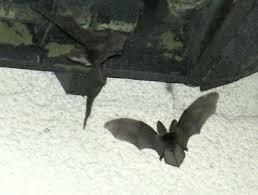 When bats enter homes they can also bring other visitors with them. Ectoparasites are a fancy name for varieties of bed bugs, bat bugs, fleas, mites, and chiggers. When a bat eviction service is performed it is also sometimes necessary to fog the areas when bats are out of the attic. This will kill any left over parasites. Fall is a time of migration for many bat species in North America, this is also when large numbers of bats may enter buildings and structures. Bats are looking for safe areas to mate and reproduce. 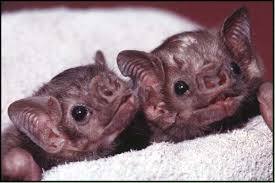 The four main species of bats in Iowa are big brown bat, little brown, northern, and eastern bats. 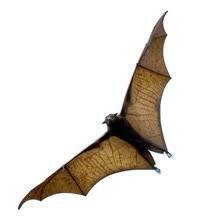 The big brown bat will over winter in attics and walls without migrating. Bats in Iowa Big Brown Bats, Little Brown Bats, Red Bats, Northern Long Eared Bats, Hoary Bats, Evening Bat, Silver Haired Bat, and Eastern Pipistrelle. Some bats can carry rabies. The state of Illinois has marked an increase in rabies in the last few years (see news blogs). However, rabies should not be a concern of homeowns. Histoplasmosis is another health factor associated with bats. If bats establish a colony in attics or walls excess droppings can contain this spore. Cleaning these droppings and making the spores airborne can cause some respiratory problems. Respirators should be worn at all times when cleaning bat droppings. Many of you may have received amazing text messages with pictures of mountain lions in Iowa over the lat year. Are they real? In fact, an Iowan hunter shot one this last year. This instills fear in many of us. My mother, who lives in a somewhat remote area outside of Des Moines, got her car stuck in the snow at the bottom of her long gravel drive late one night this winter. She later confessed to me that as she made her way through the drifts on her way back to her home she had one thought in her mind, mountain lion. Mountain lions are on there way back. They used to live all over the US. They became virtually extinct any area east of the Rocky Mountains over the last century. However, since the mid seventies, poisoning practices used to control the species have stopped. The result is a subtle and gradual increase in the mountain lion population. Are you in danger? Likely not. Mountain lion sightings in Iowa are extremely rare. I have a client who lives in a remote area in Iowa and has confessed he has a mountain lion in his area who frequents the wood pile in his backyard and claims there are deer carcuses to substantiate this claim. I believe this is most likely accurate. However, most Iowans do not need to worry. Mountain lions are still so extremely rare and usually never attack humans unless their target is moving, which triggers the predator instinct. This is why stories of mountain lion attacks in Colorado usually involve a bicyclist or someone jogging. They will mainly feed on roadkilled deer and the most easily accessible food source.